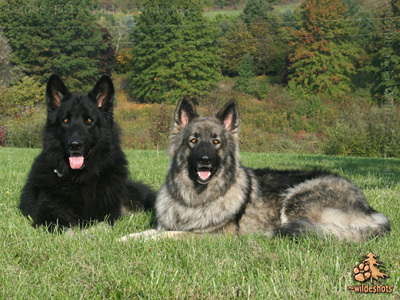 "In 2006 P&C Ridgewood Shilohs & B&T Shilohs joined kennels. Ridgewood Shilohs is a family home were we have 2.5 acres fenced in for our Shilohs to play-no kennels-all live inside as our family pets. All of our Shilohs are exclusively TSSR registered and all upcoming breeding Shilohs are EXTENSIVELY health tested. We breed for health and temperament. Hip and Health Guaranteed. We also are excited about our outcross program with the new blood from our up and coming young females that are a part of the TSSR outcross program. We breed 1-2 litters a year and we can often be seen at the Rare Breed Shows either showing our own Shilohs or assisting others in the show process. Ridgewood Shilohs is dedicated to the Shiloh breed and in making your Shiloh puppy experience all that you would want it to be--extensive follow-up and assistance even after you take your puppy home!"